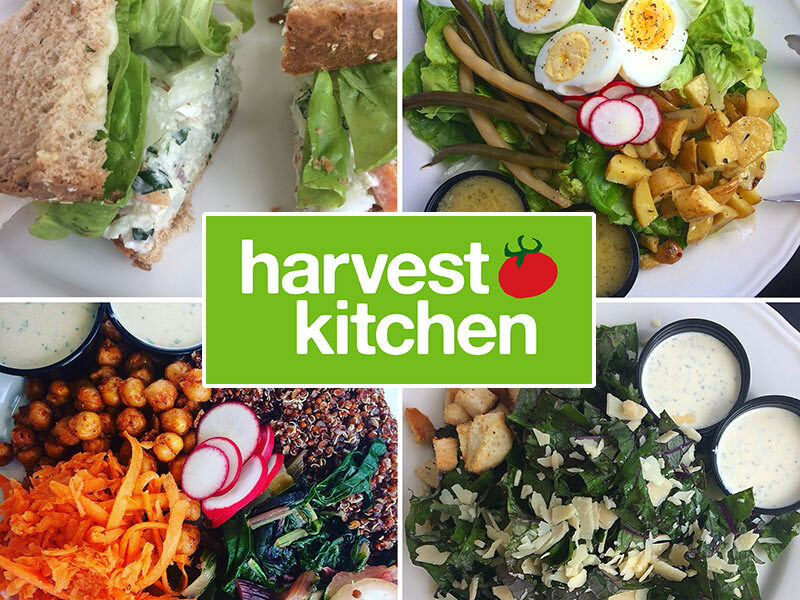 Harvest Kitchen Reopens Local Foods Café June 18! Our local foods café is reopening Monday, June 18! We now have more tables to enjoy breakfast all day, lunch, or just a coffee or tea and house-made muffin while you enjoy our beautiful, open and airy space and WiFi. We can now better accommodate larger groups for get-togethers and meetings too. Check out our new full menu packed with favorites like sandwiches, salads, bowls, and wraps. Or build your own from a wide variety of fresh, locally grown ingredients! Who’s buying local in our community, and what are they ordering? 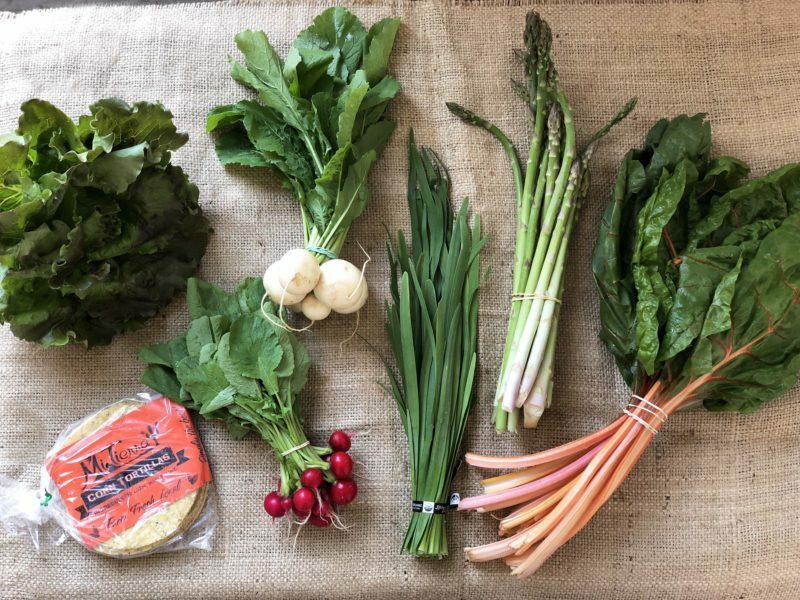 Take a look at a few of the customers who recently purchased from local farmers and producers through Market Mobile, and get a sneak peek at some of the local food on offer this week like Kitchen Garden Farm fennel, Langwater Farm golden zucchini, and Rhed’s Fermented Hot Sauce. 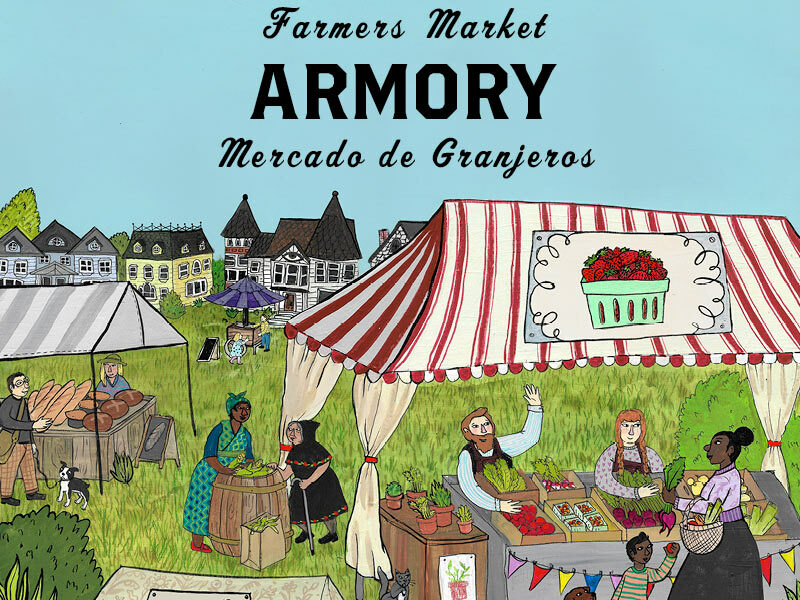 Thursdays are Armory Farmers Market days! Join us on the West Side of Providence every Thursday 3:30–7:00pm (or dusk) for tasty food from local farmers and producers, local musicians, and special events for the whole family! 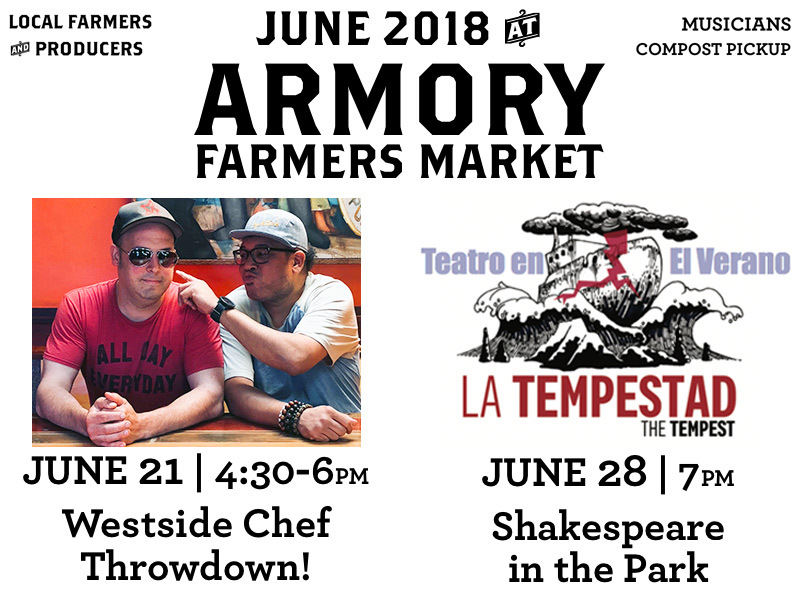 Take a look at what’s in store at the market this June. 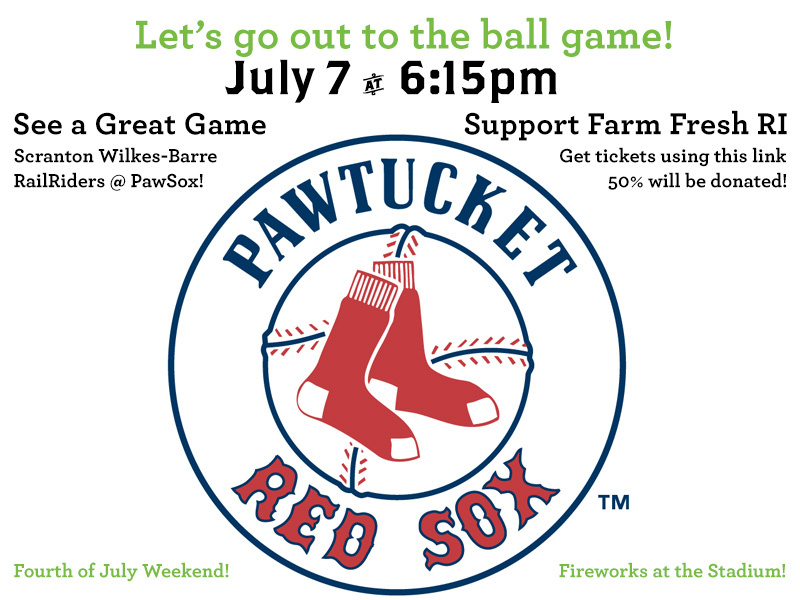 Buy PawSox Tickets and Support Farm Fresh RI! Exciting news! The Pawtucket Red Sox will be donating 50% of all ticket sales for the Saturday, July 7 game sold through our special link! Make your Fourth of July weekend even better with a ballgame —complete with fireworks! 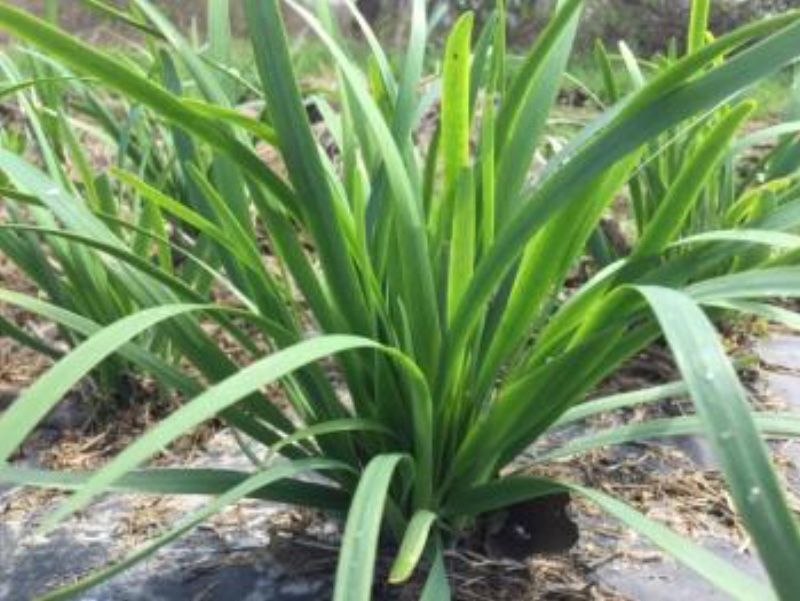 This just in from our friends at Farmacy Herbs! 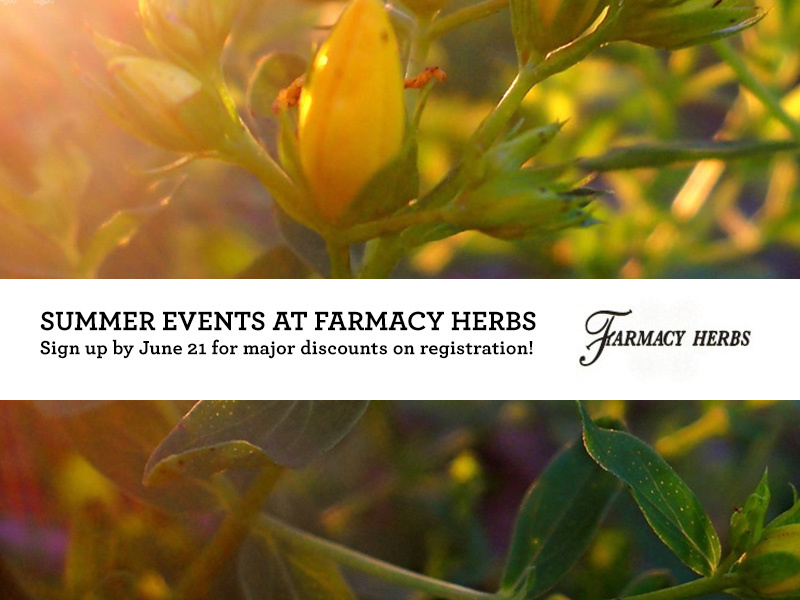 Sign up for these great summer events by June 21 for major discounts on registration: Annual RI Herb Festival, Herbal Foundations Summer Camp (for adults! ), Lil’ Sprouts Day Camp for families, and Herbal Girls Summer Camp. Last month, we were thrilled to see our organization and Market Mobile featured in an article by SAGE Dining Services. 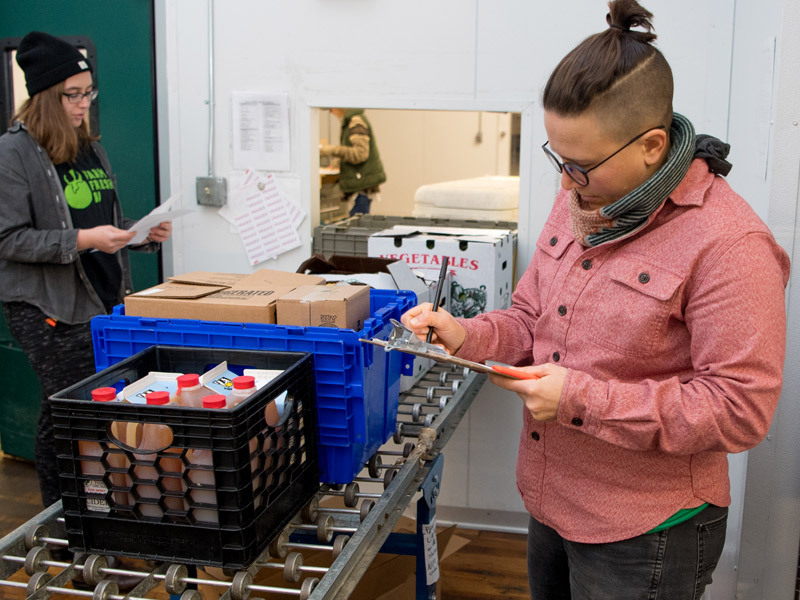 Now read part-two of the series with a great interview with our Food System Enterprise Program Director, responsible for directing our Market Mobile and Veggie Box programs, and so much more! Refer a Friend in June, Get a $5 Credit! Are you a current Veggie Box subscriber? Now’s a great time to refer a friend… Refer all your friends! 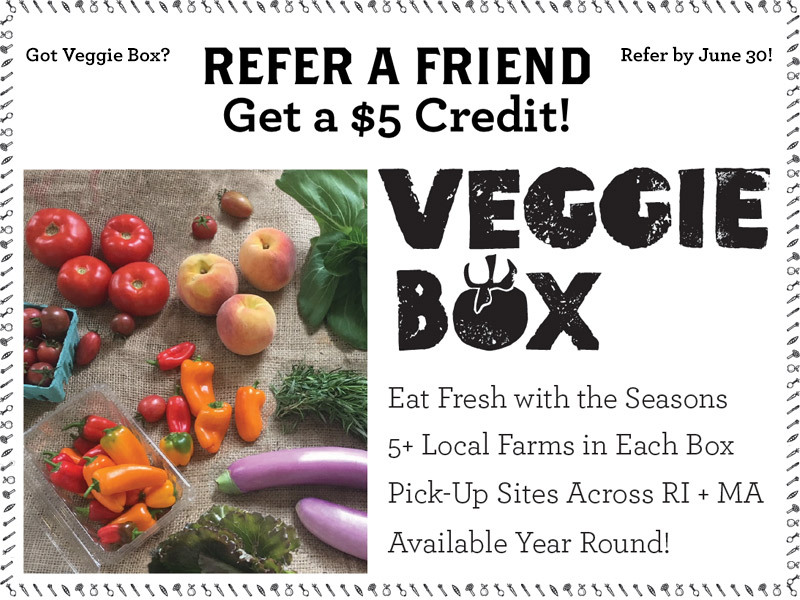 This month, for every new friend you refer, you’ll get a $5 credit toward future Veggie Boxes! 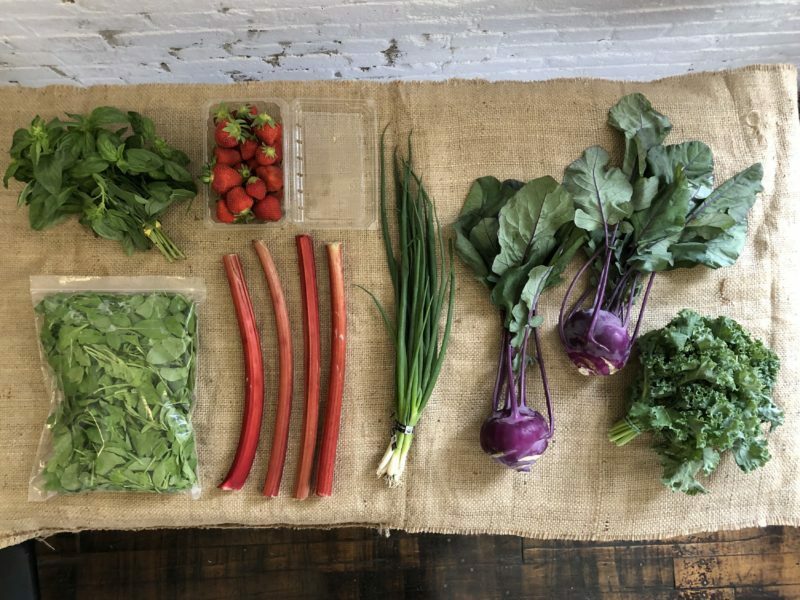 To receive your credit(s), friends must provide your name when signing up for Veggie Box by June 30, 2018. One of our newest additions to the Harvest Kitchen team, Chef Sean Kontos, has been cooking up a storm this spring. 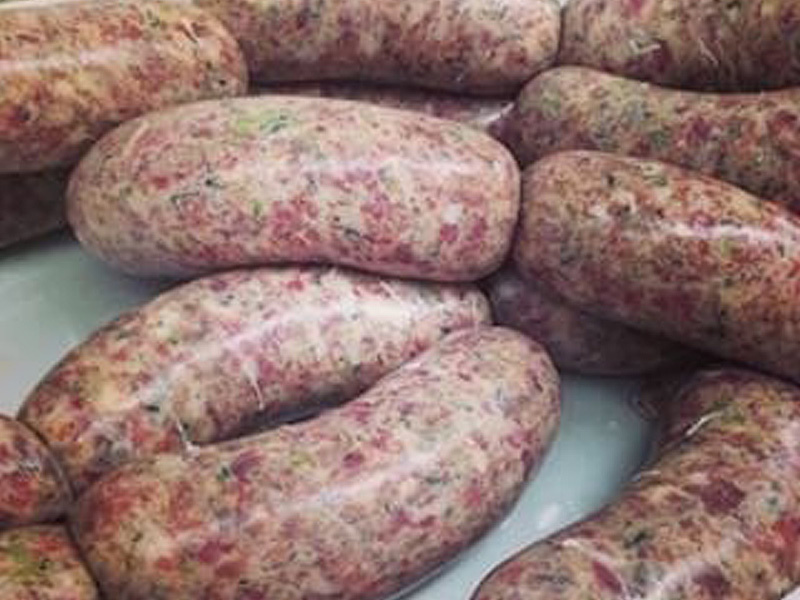 We think you’ll be inspired by his delicious creation: Spring Lamb Sausage with Spring Bean Salad and Roasted Garlic Hummus! Who’s buying local in our community, and what are they ordering? 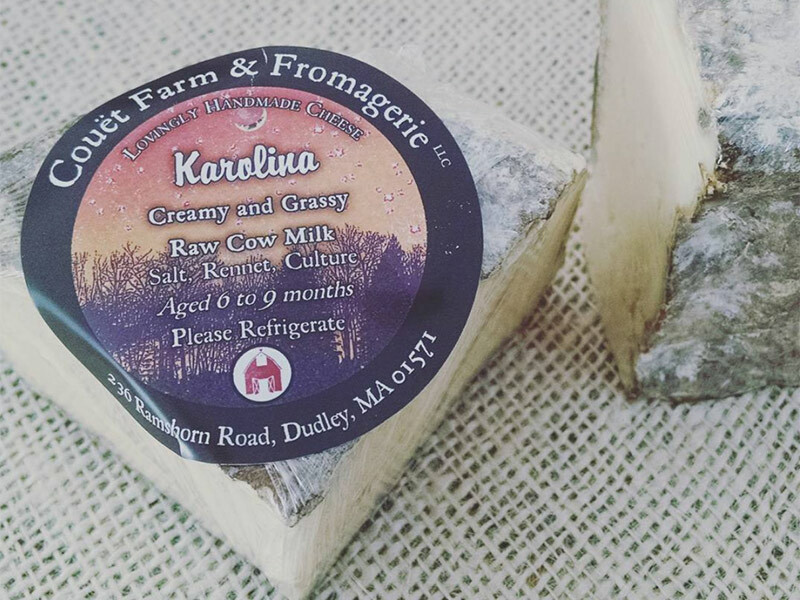 Take a look at a few of the customers who recently purchased from local farmers and producers through Market Mobile, and get a sneak peek at some of the local food on offer this week like basil, cucumbers, and this Karolina Cheese from Couët Farm & Fromagerie. 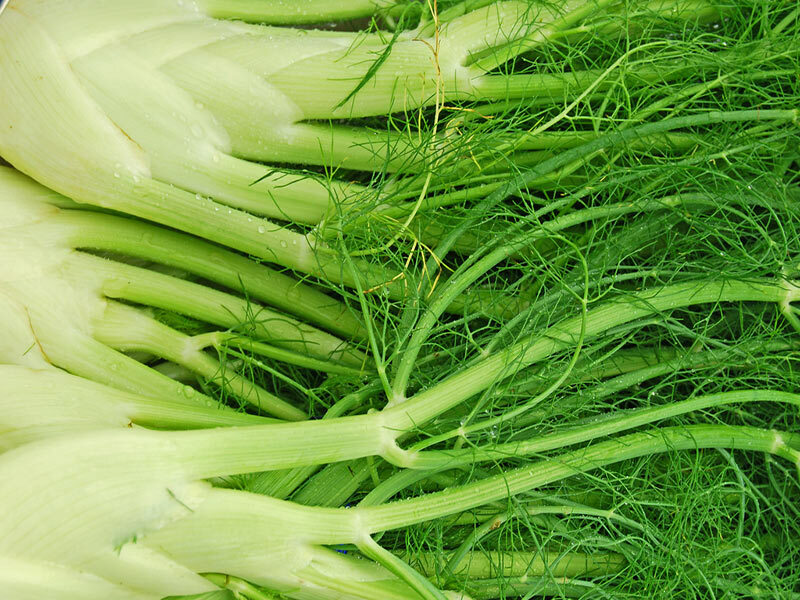 Thursday, May 31, is opening day for the Armory Farmers Market on the West Side of Providence! Start your Thursday summer routine: Stop by for an afternoon treat. Pick up dinner and groceries on your way home from work. Bring the dog! Bring the whole family! Add a little fun to your week 3:30 – 7:00pm (or dusk) — every Thursday through October! 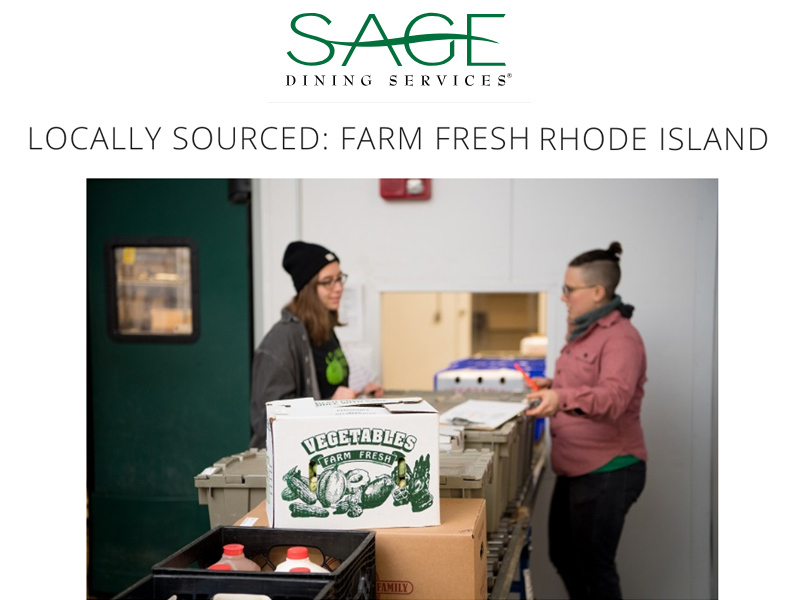 We are thrilled to see our organization and Market Mobile featured in a recent article by SAGE Dining Services!